best quality & prices guaranteed! Buy online from our range of 1000's of cut flowers, foliage and pot plants. All the functionality of our web-shop on your smartphone! Our App has proved very popular with customers who need to order on the go. 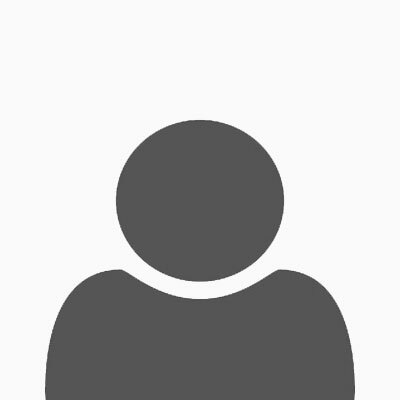 We've recently released an Android version too so you don't have to feel left out. Only registered customers can use the App. 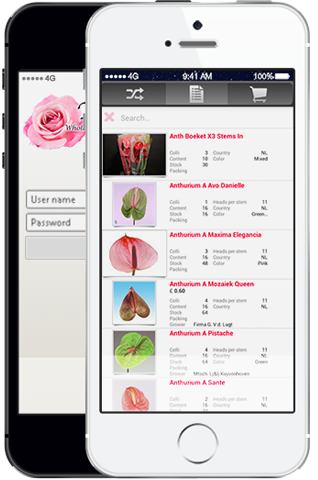 We can also recommend the FlowerBook App - great for identifying and discovering flower varieties! Our ongoing investment in our online shops for flowers and sundries business means you can order from the comfort of your armchair, or even your mobile! Find what is going on around us - you can see some real stats here! We have worked with Tom Brown Wholesalers since we opened our shop 4 years ago and have never looked back. It was our first shop and to have a company like TB who were happy to spend time with us helping us to build our regular stand stock and steering us from any rash purchases that were not suitable was invaluable. Their knowledge and experience of the flower industry is immense. 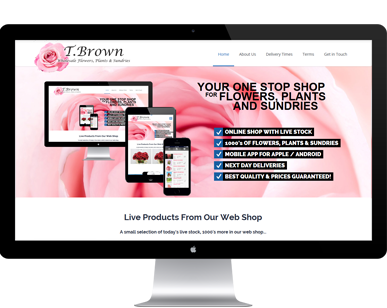 When I first entered the site I could tell that a lot of thought had gone into making it as easy for Tom Brown Wholesaler customers. Someone (like me) with no technical background really appreciates the very simple clear layout, excellent product graphics and information and how easy it is to place an order. 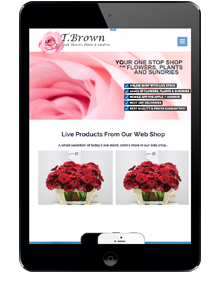 All in all, a highly polished and professional site, making life easy for the florist. I can even do my ordering in the comfort of my own home too, and have to knowledge that I will get what I order. Excellent job everyone, keep up the good work and I will continue to use it for ALL my ordering! Ready to work with us? Register now to buy online! You will need to have an account approved with us before being able to purchase online. Trade customers are welcome and we can offer credit terms, subject to approval. Sorry, but we can't accept orders from members of the public. Please fill in all the information below to register.